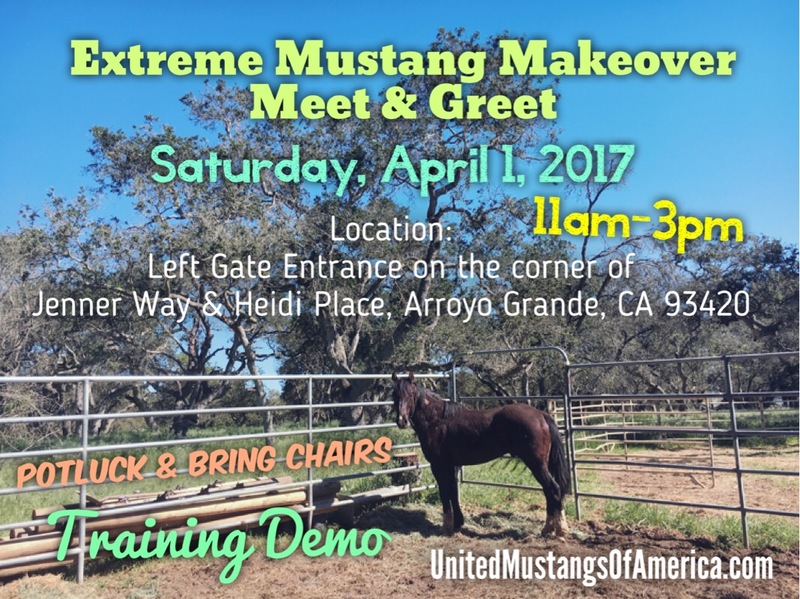 Trainer Monica O.Krause picked for this years Reno Extreme Mustang Makeover is hosting a meet & greet on Saturday April 1, 2017! This is a great opportunity to see a mustang up close and learn about what it takes to transform one from wild to mild. At this point in time, this black mustang gelding from Little Owyhee, Nevada will only have 3 weeks with Monica. She named him “Ninja” after her favorite rapper who’s message is about being in the zone in full flex. Ninjas also represent skill, precision and secret weapon. This 14.3 hand horse is currently showing he has just that. Now the journey is to hone his natural ability into making him an excellent riding partner. 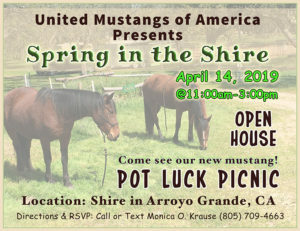 This is a potluck gathering, so please bring a dish and some chairs and enjoy learning about mustangs. It will be a good time to meet trainer Monica O. Krause and ask questions about her journey with her Extreme Mustang Makeover horse, Ninja. Anyone is welcome to attend.